Get ready to laugh! Pat in the Hat is one of the most talented clowns and balloon twisters around. His silly comedy shows will delight young and old alike. Pat is a master level clown and has been entertaining audiences for 15 years. He has an appearance in Sean Penn’s movie, “Milk” as a clown, and his balloon art was featured in the Robin Williams’ movie “Patch Adams”. 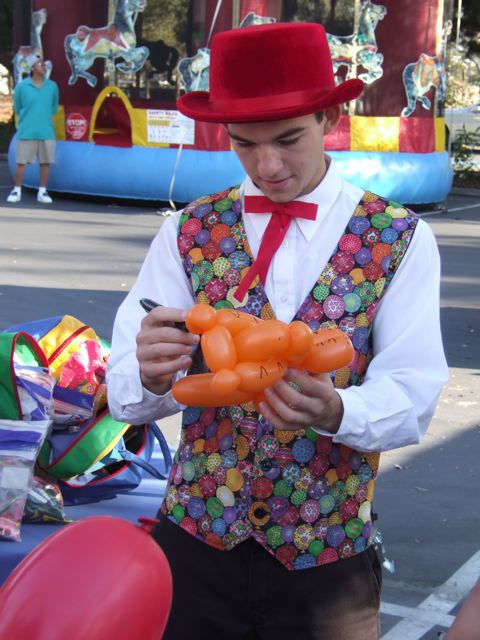 Advanced balloon art is a specialty of his, and people are always amazed at the wearable balloon sculptures and other creative creations made before people's eyes!